This module allows you to add an analog conference phone. 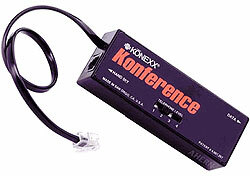 Our technicians do not suggest using it for a wireless conference unit. For information on how to configure this adapter, click below for the instruction manual.